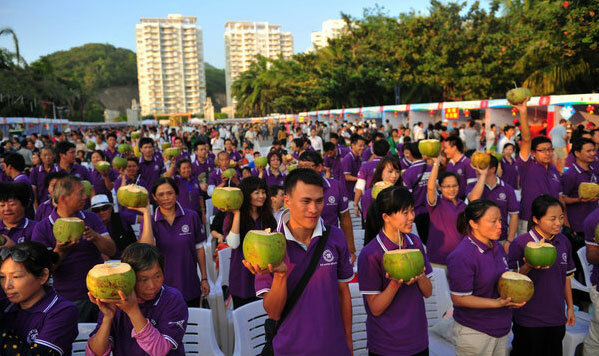 The 2012 Sanya International Food Festival kicked off Tuesday at Dadonghai Square, and will run till today. 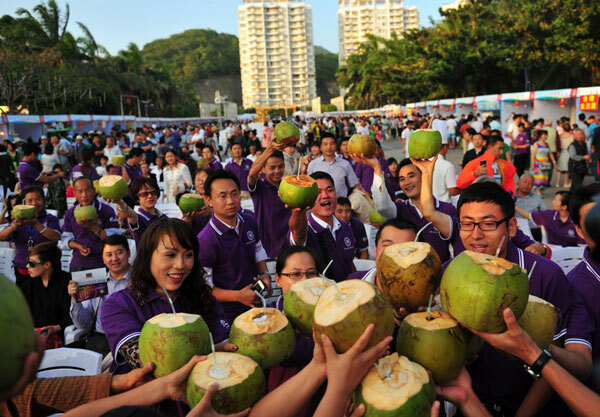 Unlike the previous festivals, this year’s festival features a series of colorful coconut themed activities with local characteristics, including setting up the coconut wishing tree for blessing Sanya and collecting best wishes for the New Year. Meanwhile, a series of cultural performances will be staged during the festival, allowing local residents and tourists to enjoy the cultural activities while sampling the delicious cuisines from different regions.